Experienced hiker and wildflower enthusiast Steve Hegji has scaled mountain heights to bring you this price collection of over 200 different flowers indigenous to the Wasatch Region. With gorgeous full-color photos, you'll soon be able to find and identify each specimen. 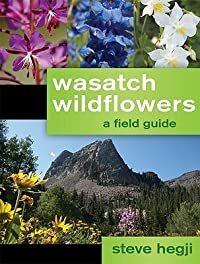 Wasatch Wildflowers is an indispensible guide to recognizing the simple beauties all around yousometimes even in your own backyard.